Keating Law Offices recently filed a lawsuit on behalf of the family of Donald Keeler. Mr. Keeler, a veteran of both WWII and the Korean War, committed suicide while he was a resident of the Champaign County Nursing Home. The lawsuit Keating Law Offices filed in Champaign County alleges that the nursing home and its management agencies failed to heed numerous warning signs of suicide and failed to appropriately supervise him prior to his death. This lawsuit follows an investigation by the Illinois Department of Public Health and news reports that recount events at the Central Illinois nursing home. The News-Gazette reported on June 17, 2017, that the Illinois Department of Public Health was recommending a fine against Champaign County Nursing home. The newspaper also recounted that the agency’s investigation identified “numerous troubling incidents involving the resident” at the nursing home. The lawsuit—filed on January 26, 2018—alleges that Mr. Keeler was a known suicide risk when he was admitted to the nursing home. It further alleges that the nursing home knew or should have known that Mr. Keeler required supervision, that he was at risk for afflicting harm upon himself, and that he was at risk for suicide. Nevertheless, Mr. Keeler committed suicide while under the nursing home’s care. The family of Donald Keeler is represented by attorneys Michael S. Keating and Thomas A. Reuland of Keating Law Offices. 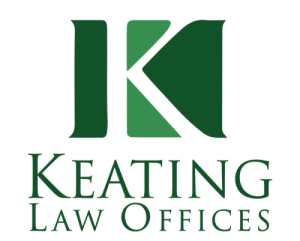 Keating Law Offices is a Chicago-based firm of trial lawyers handling cases throughout Illinois, including Champaign County. The firm has secured substantial results on behalf of abused and neglected elderly residents in nursing homes. 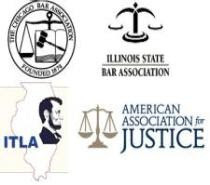 The attorneys at Keating Law Offices have spent their careers representing Illinois citizens and their families injured by the wrongdoing of others. If you have any questions or concerns about elder abuse or nursing home neglect in Illinois, you are welcomed to contact Keating Law Offices for a free consultation.